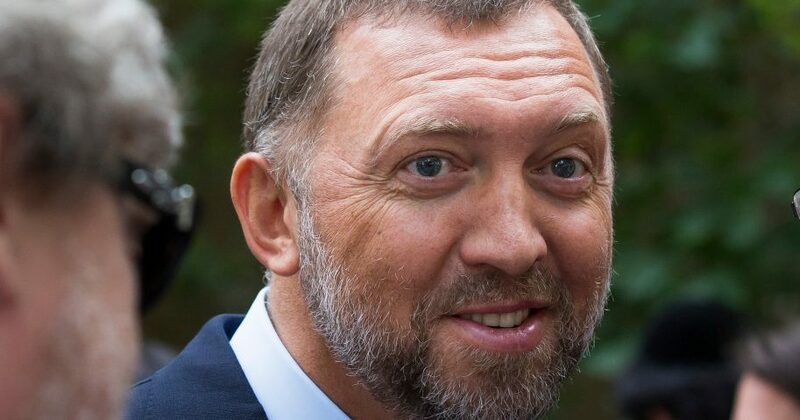 WASHINGTON (AP) — The Treasury Department appears set to lift sanctions on three companies connected to Russian oligarch Oleg Deripaska despite concerns from lawmakers in both parties who say the Trump administration should be tougher on Russian President Vladimir Putin and his allies. Treasury’s decision to ease the sanctions narrowly survived a Senate vote Wednesday when Democrats failed to win the 60 votes needed to block it. Still, 11 Republicans joined with the Democrats as some voiced concerns that lifting the financial penalties would send the wrong message to Russia. On Thursday in the House, 136 Republicans joined Democrats to disapprove of the Treasury deal. The vote was only symbolic, given the outcome in the Senate, but it sent a strong message to President Donald Trump and Treasury Secretary Steven Mnuchin, who had traveled twice to Capitol Hill to explain his department’s decision. Congress had until Friday to vote to block the sanctions relief. The votes are the latest signal that congressional Republicans are willing to split with the White House on national security matters. Lawmakers in both parties have protested Trump’s decision to withdraw troops from Syria, and the Senate passed measures in December to end U.S. assistance to Saudi Arabia for the war in Yemen and blame Saudi Crown Prince Mohammed bin Salman for the death of journalist Jamal Khashoggi. As with Mnuchin on the Russia sanctions, visits from Secretary of State Mike Pompeo and Defense Secretary James Mattis to Capitol Hill failed to convince many Republicans that they should stick with the administration’s position on Yemen. Pompeo and Mattis argued for maintaining the U.S. assistance to Saudi Arabia, but several Republicans defected, some angered by what they said was Trump’s lackluster response to Khashoggi’s killing. The two Saudi measures were never considered by the House, then led by Republicans, and expired at the end of the congressional session. On the Russian sanctions, at issue is a December announcement from the Treasury Department that the U.S. would lift financial penalties on the companies linked to Deripaska —Russian aluminum manufacturing giant Rusal, EN+ Group and the Russian power company JSC EuroSibEnergo. EN+ Group is a holding company that owns nearly 50 percent of Rusal. The Treasury Department says the Russian companies have committed to separating from Deripaska, who will remain blacklisted as part of an array of measures announced in early April that target tycoons close to the Kremlin. Treasury has warned that keeping the sanctions in place could upset global aluminum markets or even prompt the Russian government to nationalize the company, thus shutting it out from any outside control. Mnuchin’s House briefing came after seven new committee chairmen demanded he hold a briefing in the Capitol, one of the first moves of the new Democratic House to scrutinize Trump’s actions related to Russia. Democrats had asked Mnuchin to delay the sanctions decision until the end of February, but he would not agree. Lawmakers in both parties said they had concerns that the Treasury agreement didn’t go far enough to sever Deripaska’s control. House Foreign Affairs Committee Chairman Eliot Engel, D-N.Y., said before Thursday’s vote that Mnuchin’s answers in the briefing were inadequate. “With the threat that Russia poses to the United States, to our friends and allies around the world, Congress cannot just look the other way,” Engel said. No Republicans spoke on the House floor in favor of the Trump administration’s decision. Texas Rep. Michael McCaul, the top Republican on the House Foreign Affairs Committee, voted for the Democratic resolution. “Bottom line, Putin’s Russia is an adversary, and should be treated as one,” McCaul said before the vote. He said he had concerns about how the U.S. could adequately monitor Deripaska’s control of the companies. “Because we cannot be sure that we have removed the heavy hand of this Russian oligarch, I cannot support the delisting of these sanctioned entities at this point in time,” McCaul said.